Twitter just started testing a new look for its website. And, it now includes some nifty new features, including an emoji button. The biggest changes come in the form of navigation shortcuts, which make the site easier to use. 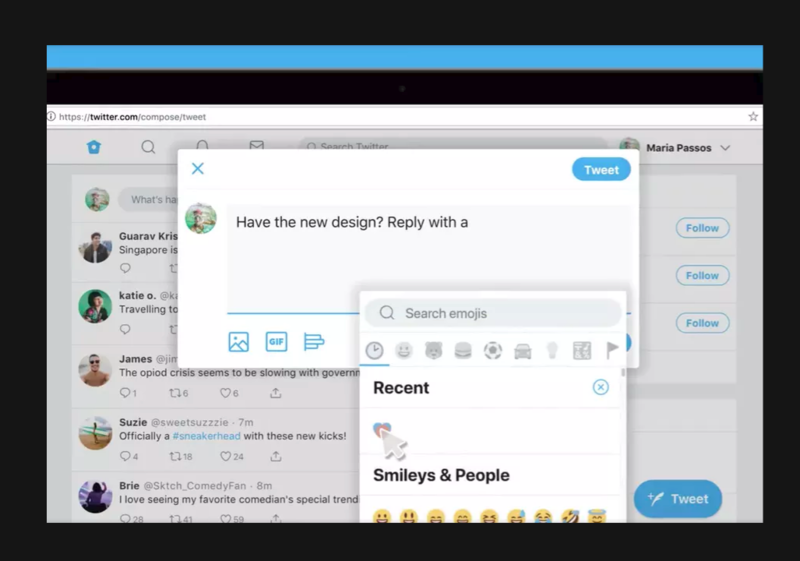 The new Twitter desktop redesign now sports a large button for adding emoji, along with a refreshed trending section, and other aesthetic changes. There are now two columns instead of two, making it simpler to read and compose tweets. It’s also easier to see people involved in a conversation. Overall, the changes should make the web interface more user-friendly. Recently, Twitter released a test version of its new conversation feature. And, the company also asked users to test out the new options in public. The social site also brought back the heavily-requested reverse chronological timeline to its mobile apps.